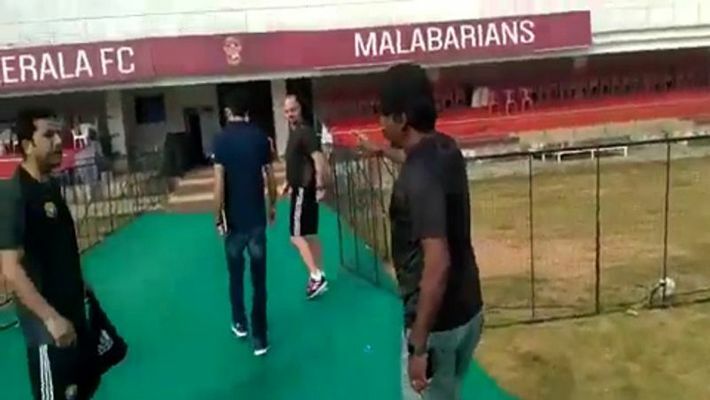 New Delhi: Real Kashmir FC on Friday alleged they were hurled abuses and manhandled by officials of Gokulam Kerala, who "deprived" the visitors of training facilities ahead of their I-League game in Kozhikode. On their part, Gokulam Kerala issued a clarification and alleged poor and irresponsible behaviour by Real Kashmir. "There was no team bus, no proper training ground was provided by the host Gokulam Kerala FC, which is a mandatory requirement as per the guidelines of the I-League." This is Real Kashmir's first season in the I-League after winning the second division last year while this is the second season when Gokulam are playing in the competition. "Our coach and staff was abused by the officials of Gokulam Kerala FC. We need police protection and assurance that none of our players or staff members will be harmed. Gokulam also took to Twitter to issue a clarification. Gokulam said that they had arranged for a bus for the club officials to the Medical College training ground - a bus they "never took" for training at Medical College. RKFC officials stormed the FOP and manhandled the groundsman and threw his phone away when he tried to capture what Mr. Robertson and his club members tried to do. Why was the bus provided not used by them to get to the medical college ground when we had already arranged everything even in harthal? They did train the previous day in the same place.